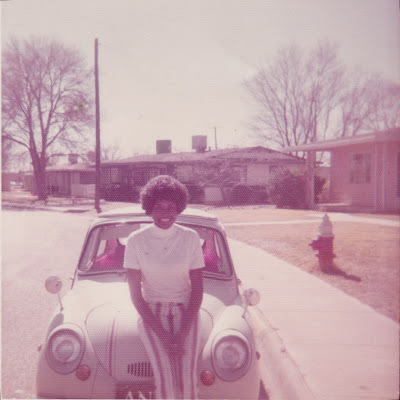 One of my favorite pics of my mom--it was the 70s, and she was too adorable for words! The car's name was Lucy. You live in Texas, but if you could live anywhere else in the world, where would you live? Hawaii, because the pictures are so beautiful and the weather is around 70-plus all year long--it looks like heaven on Earth from the pictures. I've never been but I'd really like to go. I had the fortune of being born and raised in the same house--we never moved while I was a kid--in your opinion, what are the benefits and/or drawbacks of raising a family in the same home over several decades? Well, to me, and every parent is different, especially military parents...as a military spouse I just believed that stability was important for my children. I felt that moving from one place to another was a disadvantage--I wanted you all to have a stable childhood...I wanted you to attend church, to be involved in all of the activities (choir, vacation Bible school, etc.) --all of those things you can't have stability in if you're always moving around. I also wanted you to have life-long friends and felt that you could get that by living in one place. On the other hand, the experience of seeing different places is priceless. When you're moving around, you're able to experience different cultures and things that the average child isn't able to experience...it really is priceless. That's the only thing...aside from that, I honestly prefer the choice that I made, which was staying in the same home and providing a stable environment for you and your sister. It's such a warm feeling for my grandsons to be able to see the handprints you made as a kid on the cement in the backyard outside and your painted initials on the front porch. My parents were the parents of five kids--three brothers and a sister who died right after birth. I'm the oldest. I grew up in a very Christian home. During the time I was younger, racism was really prevalent. I remember not being allowed to go to the restroom outside of our home, because my Dad didn't allow it. He didn't want us to experience segregation, and I never did--drinking from separate water fountains, going in back entrances, sitting in "Colored Only" sections in restaurants...because our parents really sheltered us from all of that; they didn't want us to feel demeaned. I do remember going to the movies and having to sit upstairs because that's where the "Colored Section" was. But besides that, we were really sheltered. How did your parents parent? Daddy was the main disciplinarian, but it would take a lot for him to get angry. My dad didn't graduate from high school, but he always stressed that he wanted us to focus on school. He would work until late in the evening, but the days that he would come home early, he would have us to stand in front of him, he would call out our spelling words, and we would practice with him. He was actively involved in our education. Every day he wanted us to tell him what we'd learned at school. He really believed that if we could explain to him what we'd learned in a way that he could understand it, then that meant we'd really learned it. It's an approach that I took with me into my teaching career. I'd have my students go home and teach their parents what they'd learned that day--if they could teach their parents what they'd learned in class that day, that meant they'd actually learned it. Your grandmother was the same way, but she would come to all of our school activities because your grandfather was working. I thought we were rich, honestly, because we had everything we needed. It wasn't until I got older that I realized we were broke. 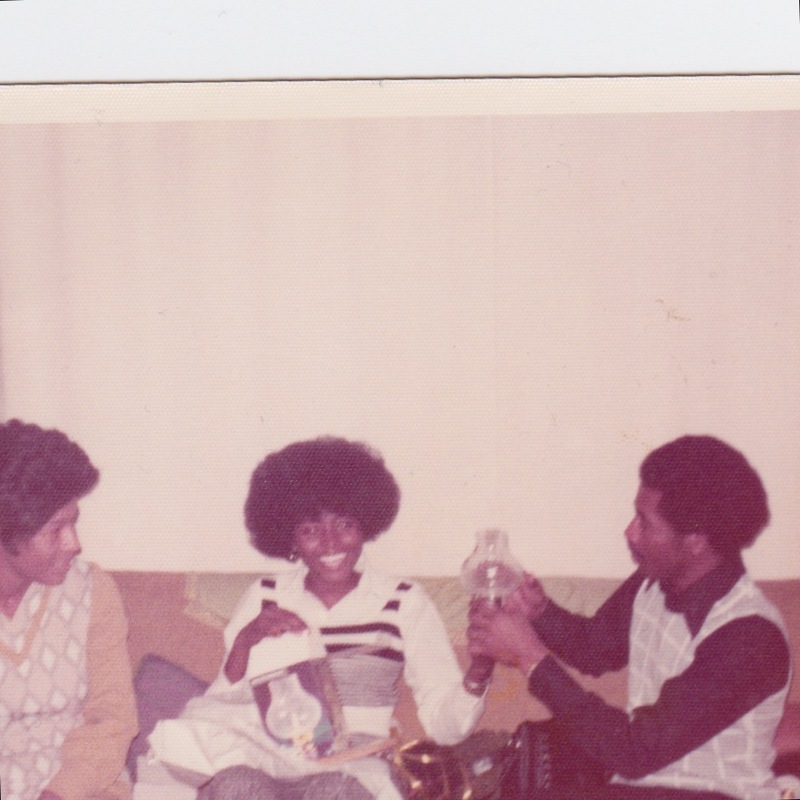 My parents made sure that we all had the opportunity to go to college, and if we didn't do so, it was our choice, not because they hadn't made it possible. You were and are a single parent--I think you did a bang-up job raising two kids; I mean, we're still alive and not incarcerated or anything. Any tips for juggling it all for single parents? 1. Only be mom or dad. Don't try to be both mom and dad. 2. Follow your first mind. 3. Don't be so hard on yourself when you don't get it right...children don't come with instructions. Just do your best. Italian...I pray for the day that I will be able to roll my tongue. I'm having the hardest time, but that's the language that I would love to be able to speak...like yesterday. Because of my son-in-law, my grandkids, my son-in-law's family--I love them all and I'd just love to be able to communicate. I'm still working on it. Rome wasn't built in a day. Good times! My mom, my dad, and one of their friends. Growing up in such a small but diverse town, Killeen, Texas, was really such a gift for me. I grew up with best friends who were Guamanian, Puerto Rican, Dominican, Korean, Black, White, Black and White, Mexican and Korean, Columbian, and more...I was destined to marry a foreigner. Talk a bit about why you chose Killeen and why it was a good place to raise us. The reason I chose Killeen was Killeen chose me...your dad was stationed here. The school district was awesome during that time. It was a perfect place to rear children. There were so many different personalities and cultures; it was commonplace to appreciate and like others and their differences. Above all, Killeen was a great place because there were so many good people--it really was just a wonderful place to be. The last good book you've read? The Vow by Kim and Krickett Carpenter--it's a book about love, respect, faith, and hope. Favorite things to do during your free time? I just started taking piano lessons so I practice 2 or 3 hours every day...I'm up to Yankee Doodle. I'm a five year-old student in a 63 year-old body...I should say seven year-old. I also do Bible study, and I try to practice my Italian. The Bears Detective:The Case of the Missing Pumpkin--I used to try to skip pages while reading it aloud to you when you were little and you'd say, "No, mom! You skipped a page!" That's why it's my favorite. And you loved Miss Nelson is Missing when you were little, too...you'd always check it out from the library. 1. I'm so proud of you and Flavi and I know this is going to be the best school in the world. 2. When your grandpa was in the nursing home, he loved to have people come by and and play the piano or visit. So that's what I'm working on...by December I'd like to be good enough at playing to give little concerts at the senior citizens homes around Killeen. I'm sure they'd LOVE your rendition of Yankee Doodle!